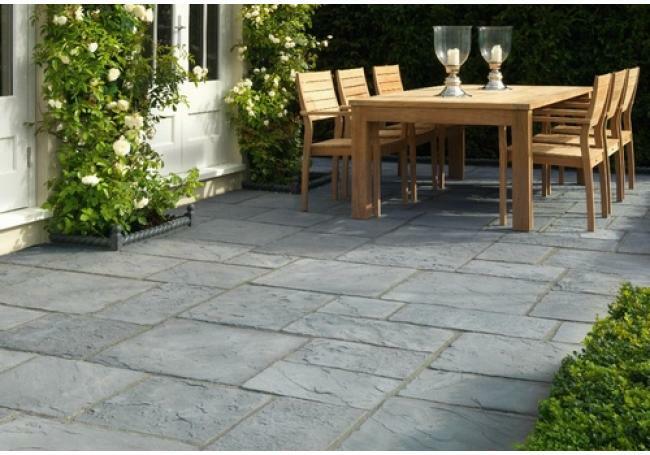 Manufactured concrete paving slabs are perfectly suited to all patio and path projects. Robust and highly versatile, concrete flags will meet the needs of any environment and are perfect for both contemporary and traditional designs alike. With the variety of concrete slabs we have available at AWBS, you can create your perfect design, with fabulous colour and finish continuity. 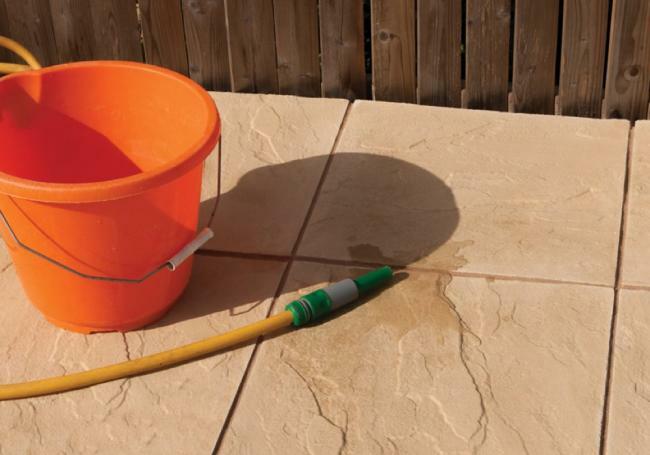 Unlike poured concrete, concrete stone paving is resilient to weather extremities, and easy to look after and control weed or algae growth. 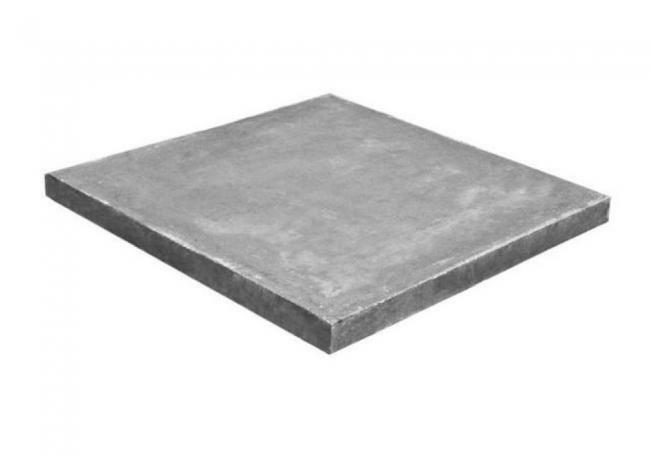 And, with many available with textured surfaces, concrete flags can be naturally slip resistant. 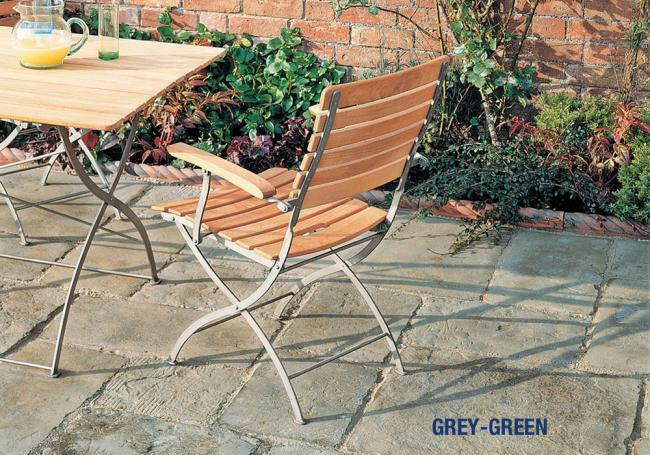 If you’re looking for a versatile and hardwearing paving solution, look no further than our range of concrete slabs. We offer free local delivery from our Oxford, Yarnton and Swindon branches, as well as a price-match pledge. 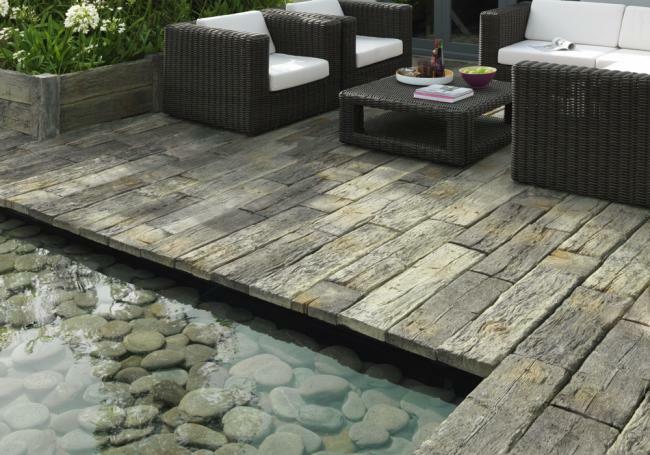 We have an extensive range of concrete paving, to suit all tastes and budgets. 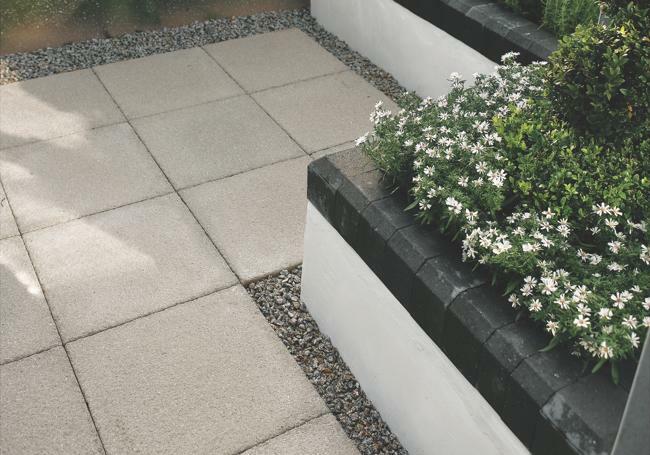 For a cost-effective solution, the Bradstone Peak Riven is a highly practical utility paving, available in three lovely shades. 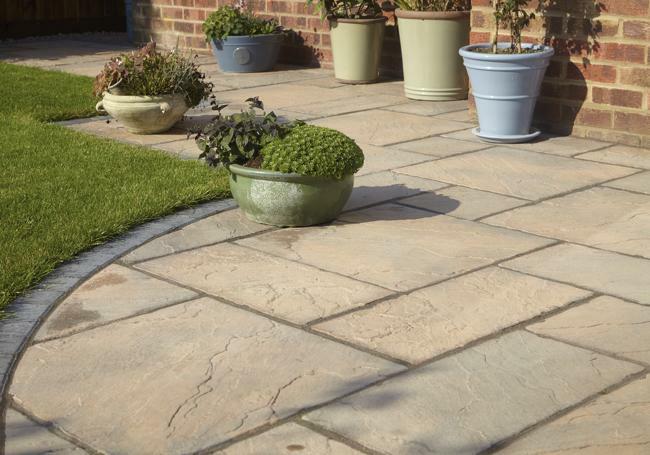 If you’re looking for concrete stone paving with wonderful character and the weathered appearance of original flagstones, the Pavestone Fairford Singles is a fabulous choice and will give a timeless look to your garden. 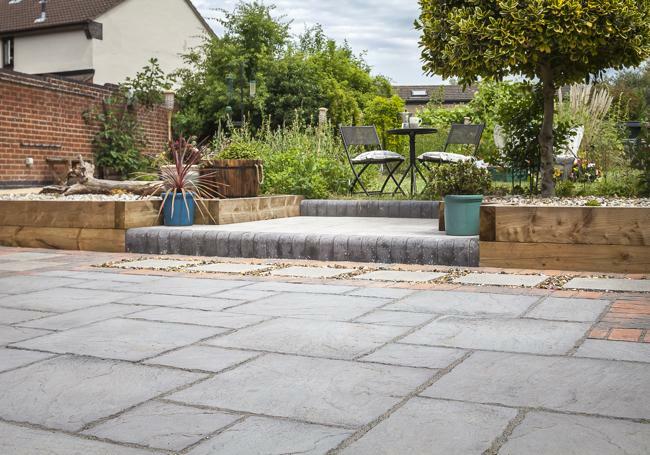 For a stunning contemporary look, the Pavestone Kera Linea is straight edged, giving clean lines, in a gorgeous pearl grey colour, while the Pavestone Sable concrete paving is an attractive and practical slab that combines modern styling with hardwearing utility. 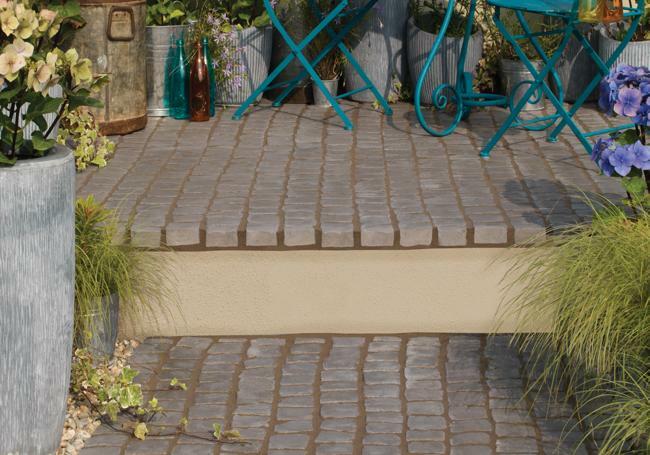 A hugely popular concrete paving slab, the Bradstone Textured paving has a non-slip surface and a distinctive fleck that’s created by exposing the natural aggregate during manufacturing. 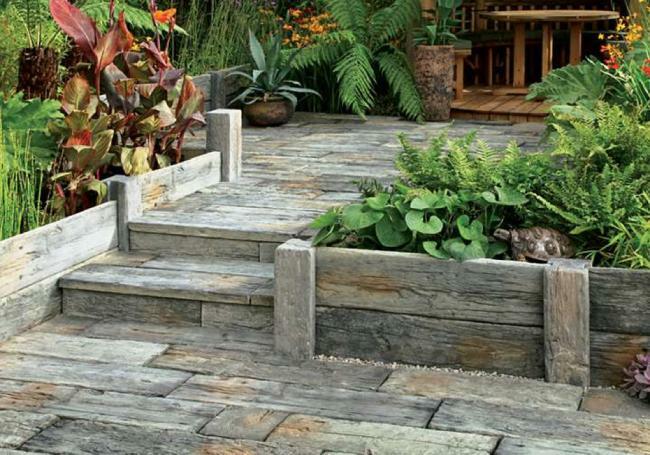 To find out more about our selection of concrete paving slabs, visit one of our three branches, where our knowledgeable staff will be happy to answer any questions you have about your paving project.